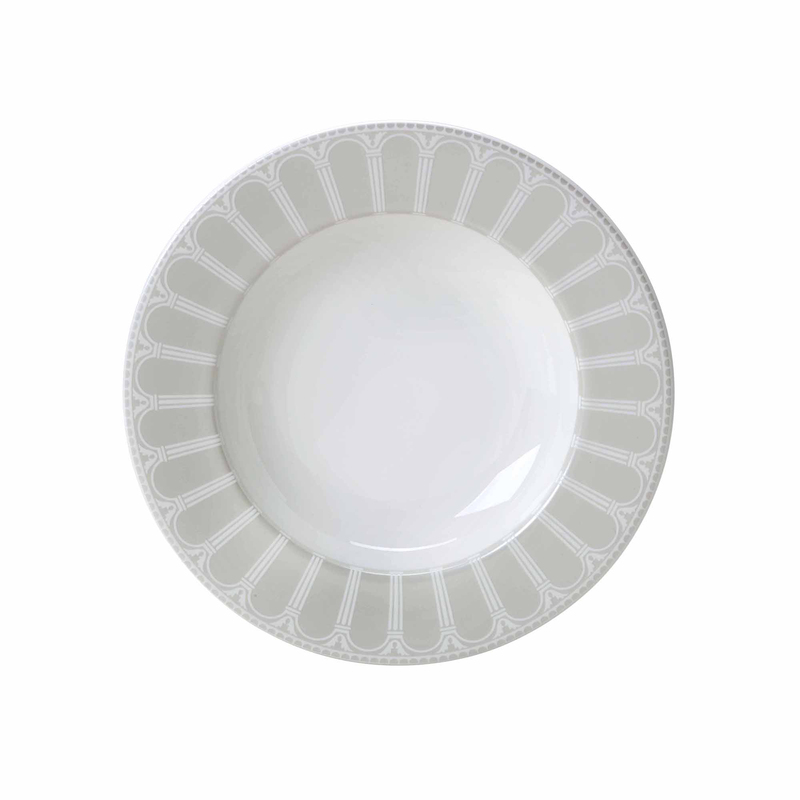 Impress your guests with the Conservatory Fine Bone China Rim Bowl 22cm. This bone china rim bowl features the timeless architectural motif of the Palladian arch and is a stunning way to serve your favourite soup. Impress your guests with the Conservatory Fine Bone China Rim Bowl 22cm. This bone china rim bowl features the timeless architectural motif of the Palladian arch and is a stunning way to serve your favourite soup. The radiating pattern of this fine bone china bowl will frame your beautiful food and add a touch of classic English design to your dining table.